Today ZTE's sub-brand nubia has announced no less than three new smartphones for the Chinese market. They are the nubia M2, M2 Lite, and N2. This device marks the debut of the dual rear camera setup in nubia's roster. It's got dual 13 MP sensors, one color, one monochrome. Both are protected by sapphire, and both come with f/2.2 aperture. The phone has a 16 MP selfie camera with f/2.0 aperture and an 80-degree field of view. The screen is a 5.5-inch 1080p AMOLED, and the device is powered by Qualcomm's Snapdragon 625 chipset, aided by 4GB of RAM. 64 or 128GB of storage are built-in and expandable with microSD. A fingerprint sensor is embedded in the M2's physical Home button on the front. 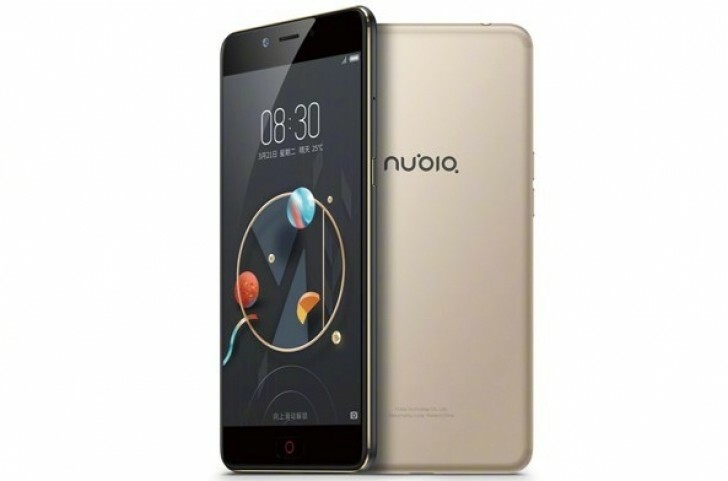 It has a 3,630 mAh battery and runs Android 6.0.1 Marshmallow underneath nubia UI 4.0. Connectivity-wise, you've got 4G LTE, Wi-Fi, Bluetooth, GPS, GLONASS, and a USB Type-C port. 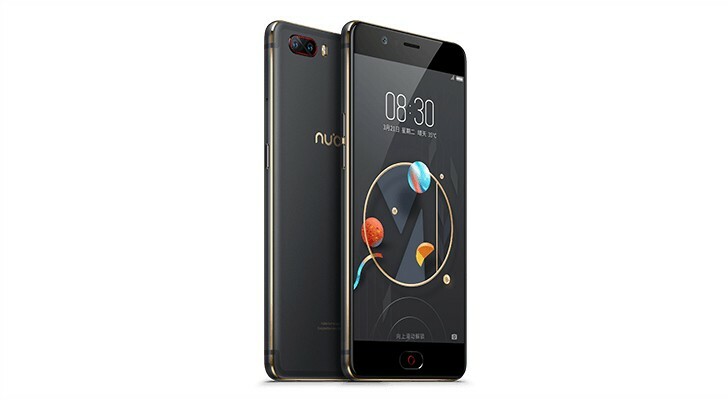 The nubia M2 is priced at CNY 2,699 ($391 or €362) with 64GB of storage and CNY 2,999 ($434 or €402) for the model with 128GB. It will be available soon in gold and black. This is basically a watered-down version of the M2. It loses the dual camera setup on the back, instead having to make do with a single 13 MP sensor with f/2.2 aperture and dual-tone LED flash. The selfie shooter is identical to the M2's, though. The M2 Lite sports a 5.5-inch 720p IPS touchscreen, and it's powered by MediaTek's Helio P10 chip. It has 3 or 4GB of RAM and 32 or 64GB of storage depending on which configuration you buy. A microSD card slot is in for expansion. Like the M2, it has a fingerprint sensor built into the physical Home button. Interestingly, this model runs Android 7.0 Nougat under the nubia UI 4.0. It's got a 3,000 mAh battery with 5V/2A charging. It has dual-SIM functionality but it's achieved through a hybrid slot, so you'll have to choose between using a second SIM and a microSD card. The M2 Lite will start at CNY 1,799 ($260 or €241) and will be offered in black and gold. This is a phone that stands out through its huge 5,000 mAh battery which supports 18W quick charging. Otherwise it's pretty similar to the M2 Lite, except it has a 1080p AMOLED display panel and comes only with 4GB of RAM and 64GB of expandable storage. It runs Android 6.0 Marshmallow and will cost CNY 1,999 ($289 or €268) when it launches on April 8. Like the other models announced today, this too will be out in black and gold. Will this work in U.S. for LTE GSM providers like AT&T?